The Agora Journalism Center at the School of Journalism and Communication (SOJC) is the University of Oregon’s gathering place for innovation in communication and civic engagement. Agora works to create and support transformational media innovations in service to civic engagement, and civic engagement that informs media innovation. 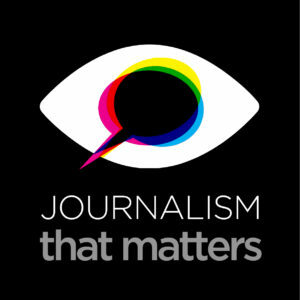 Journalism that Matters is a nonprofit that convenes conversations to foster collaboration, innovation, and action so that a diverse news and information ecosystem supports communities to thrive. We believe journalism matters most when it is of, by, and for the people.